The 2013 Chevrolet Avalanche is a high-styled, 5/6-passenger hauler that blends the best features of a crew-cab pickup and an SUV. The secret lies in its unique "Midgate" folding rear bulkhead that expands the rear cargo bed up to a full eight feet in length. Based on the Chevy Tahoe, the Avalanche can tow up to 8,100 pounds. If you need the 6-passenger capacity of an SUV, but the stuff you regularly haul behind the seats is frequently dirty or dripping something you'd rather not clean up, the 2012 Chevy Avalanche truck is the vehicle for you. Tow rated up to 8,100 pounds - 7,900 with 4-wheel drive (4WD) - the Avalanche is the perfect companion to all of your big toys. If you don't need the midgate feature, you can get the same type of utility from a full-size crew-cab pickup and probably save some cash in the process. The 2012 Chevrolet Avalanche truck is not easy on fuel, nor is it a joy to maneuver into small parking spaces or narrow garages. If you like the pickup-bed/SUV-cab idea, but don't need the towing ability or size afforded by the Avalanche, the Honda Ridgeline might make a good second choice. There are no major changes for the 2012 Chevrolet Avalanche truck. The 2012 Chevrolet Avalanche truck can seat up to six passengers, but we think five is a more comfortable number. The thickly padded seats offer outstanding comfort and are positioned high up to give everyone onboard a good view looking out. A massive center console with covered storage compartments separates the front bucket-style seats and is large enough to fit a tablet or large purse. The rear seats have good head and legroom for tall passengers, and the folding rear seatback exposes the midgate panel pass-through. For even more room, the rear glass can also be removed. The centerpiece of the Chevy Avalanche's design is its folding midgate bulkhead separating the cabin from truck's bed. With the midgate open, the 2012 Chevy Avalanche's bed grows from 5.3 feet to 8.2, nearly doubling the length of items the Avalanche can haul. The bed itself features a protective liner and storage boxes along the bed walls complete with drainage plugs to let melting ice or wet clothes safely evacuate water. 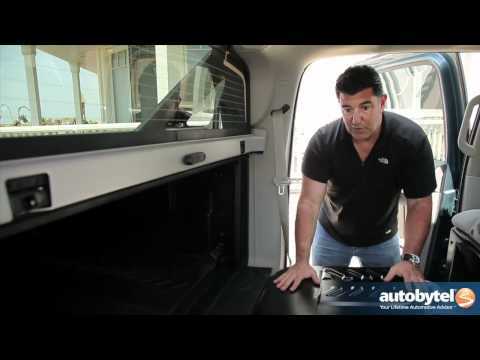 The Avalanche also has lockable exterior storage areas as well as an available 3-piece interlocking cargo cover. Visually, the Avalanche is a handsome hybrid of the Suburban SUV, with a monochromatic exterior treatment and color-keyed flying-buttress bed components (LTZ trim only) that give the 2012 Chevy Avalanche truck the unique exterior it needs to separate it from the average-looking pickup truck crowd. Despite its size and obvious pickup-truck chassis, the 2012 Chevrolet Avalanche delivers an impressive level of refinement in areas of both ride and handling. Over smooth roads, the suspension seems to float along, almost like an old Caddy or Lincoln. When the road starts to turn, however, you'll need to pay attention as the bulky Avalanche isn't exactly light and nimble on its feet. The standard StabiliTrak stability control is a welcome addition and is quite effective at helping rectify an Avalanche skidding out of control. The 5.3-liter V8 is plenty strong, but because the power is delivered through the 6-speed transmission with such smoothness, acceleration can sometimes feel slower than it actually is. The 2012 Chevy Avalanche's steering is on the light side, but not effortless, and the vehicle has an impressively tight turning circle. In LS trim with rear-wheel drive the 2012 Chevrolet Avalanche truck has a Manufacturer's Suggested Retail Price (MSRP) starting around $37,500. A mid-level 2012 Chevy Avalanche LT stickers for a few thousand more, while a fully loaded LTZ with 4WD can pass the $55,000 mark. Be sure to check kbb.com for our Fair Purchase Price before you set off to start negotiations. In terms of resale value, we predict that over time the Avalanche will hold similar values to the Chevy 1500 Silverado Extended Cab, Honda Ridgeline and Ford F-150 Super Cab, and outperform the Ram 1500 Quad Cab and Nissan Titan. In base LS trim, the 2012 Chevy Avalanche truck includes remote keyless entry, heated power mirrors, a cloth-upholstered 40/20/40 split-bench front seat with power on both the driver's and passenger's sides, side steps, a leather-wrapped steering wheel, rear privacy glass, the StabiliTrak stability-enhancement system, head-curtain side-impact airbags and 17-inch tires on 5-spoke aluminum wheels. GM's Autoride suspension, with real-time damping for reduced body motion, is standard on the LTZ, as is a limited-slip differential and 20-inch wheels and tires. The LTZ and various levels of the LT group also include remote engine starting, rear-obstacle detection, leather upholstery and power-adjustable pedals. All versions of the 2012 Chevrolet Avalanche include GM's OnStar. The Off-Road Package includes 18-inch wheels, the off-road suspension, tubular assist steps, locking rear differential and a skid-plate package. Available articulated running boards automatically move downward and outward as the doors are opened. Individual options, depending upon trim level, include Ultrasonic Rear Parking Assist, a rearview camera system, navigation system, DVD back-seat entertainment system with an 8-inch screen, power sunroof, XM Satellite Radio with real-time traffic assist for navigation-equipped models and 20-inch wheels. Chevrolet is by no means alone in offering cylinder deactivation, but it's a welcome addition to these heavyweight vehicles, which are known for consuming substantial quantities of gasoline. True pickup-truck fans might shun the 2012 Chevrolet Avalanche's relatively short cargo bed and SUV foundation, but the midgate gives it a degree of versatility that's absent from traditional pickups. The 2012 Chevy Avalanche offers only one engine and transmission choice: a Vortec 5.3-liter V8, matched to a 6-speed 6L80 Hydra-Matic transmission. The engine can operate on E85 or gasoline, although fuel economy is greatly reduced when using E85 while horsepower is increased slightly. Under certain conditions, Active Fuel Management Technology lets the engine run on four cylinders to save fuel. The 2-wheel drive (2WD) trucks use an iron-block engine while the 4WD trucks have an aluminum block. The 2012 Chevrolet Avalanche truck is part pickup, part SUV and entirely practical. Its big, roomy cabin is virtually identical to the Chevy Tahoe and Suburban-at least from the second-row seat forward. What makes the 2012 Chevy Avalanche so much more versatile than a crew-cab pickup is the standard folding midgate bulkhead behind the rear seat. Essentially a cutout covered by a metal panel, with the midgate folded down the Avalanche's bed is extended into the cab. Built on the same platform as the Suburban, the 2012 Avalanche full-size truck is endowed with the same strong chassis, ground clearance and AWD ability as its SUV cousin. The only difference is there is no 2500 model, and the standard engine is Chevy's small-block 5.3-liter V8 featuring Active Fuel Management and E85 capability. Its very spacious inside and out. It is a very reliable and a very spacious vehicle. It looks nice on the inside and on the outside. It holds all of my families needs and power everything. It's really good on mileage and gas. Everything is still up to date considering Its 2011 model. Its dark blue on the outside and It's very easy to keep clean on the inside and outside. The back window rolls completely down and it has the option to be able to get into the back of the truck from the inside. The top of the back of the truck comes on and off for easy storage. It is also made to be able to lock in case u have important or expensive items in the back of your truck. It is great for family vacations and has the option for on star services. Avalanche: the vehicle that does it all. This a vehicle that does it all. It can be an attractive vehicle for a night out or an open air vehicle to go mudding in the woods. Great style and performance. The ride is smooth as it is a one piece truck built on the suburban chassis. I have had 5 with little problems with the powerful 8 cylinder engine. This model is discontinued in 2013. It is very reliable get me from A to B. I have had it for six years and have not had any major issues. You shouldn't have any issues as long as you keep up the maintenance and regular checks. I love that it has five seats and a bed so there is plenty of room. It is comfortable and convenient if I need to drive in any weather.